The best way to describe Le Coffee might be to say that if offers everything you might be looking for in a restaurant, whilst on a ski holiday. The warmest of welcomes, dynamic staff, tasteful modern decor, an atmosphere which makes it hard to leave, live music... and, on top of all that, quality gourmet cuisine accompanied by an excellent wine list. You won’t forget Le Coffee! 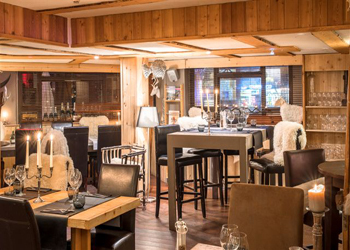 Choose from a delicious evening meal in a modern but cosy setting, or the sunny terrace for lunch by the slopes. Whatever your choice, you will find a friendly and comfortable establishment, and a generous and varied cuisine. 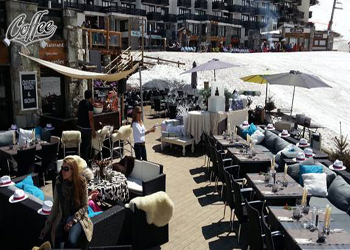 The terrace is adorned with large sofas for lounging in front of snow. 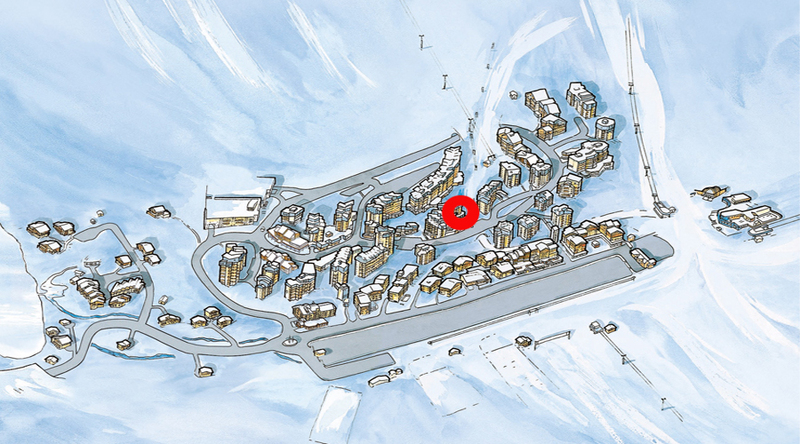 This is the place where one has to be after skiing to live a festive moment. 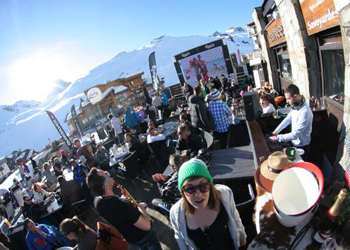 As the sun sets and the lights of Val Claret light up, the Coffee turns into wine and champagne bar to accompany your early evening until late night early. It is possible to book one of the rooms for a seminar, birthday, wedding or other event. At night, the map is complemented specialties, seafood, and fine wines served by the glass and selected. The Coffee, a keeper !!! - Open from 8.30a.m. ‘til 2a.m.